Time to get an Xbox. REDMOND, Wash.---Xbox has announced plans to release Desmond, a video game inspired by World War II medic Desmond Doss. The Adventist conscientious objector saved dozens of fellow soldiers during the World War II Battle of Okinawa without firing or carrying a gun. 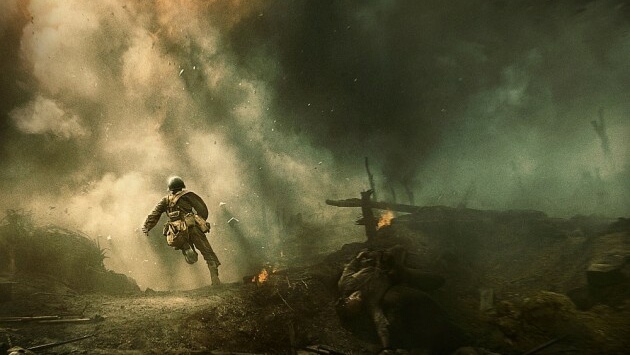 His story was dramatized in the 2016 film Hacksaw Ridge. Desmond has been framed as a peace-loving spin-off of the ultra-violent Halo shooter game series. Desmond generates digital halos for players who successfully complete the game by saving 75 wounded soldiers from the battlefield. I suspect that was a type. Desmond Doss rather than Desmond Ford in the headline. Desmond Ford’s battle was more trying to destroy the Adventist Church. He failed, only made it stronger. Hahaha!!! Glad you caught that, Stan! Kinda funny….the typo in your headline….noticed that right away. And, I would definitely disagree with Stan’s characterization of Desmond Ford – he had questions about investigative judgement as he studied this for himself. Why do people feel the need to judge others for their sincere study of scripture and their personal spiritual journey? Only God will judge us imperfect humans – isn’t that wonderful news??? I say the Pathfinders need to find a way to make one of those honor patch for this game. “75” can be in the patch logo. Background can show a battlefield and a soldier shadow saving the GI’s. As soon as I finish this note to youse guys, I’m gonna do the artwork. Will let you know later how it turns out. Could be ready for the Camporee! I promise to be the first guy to wear the patch.